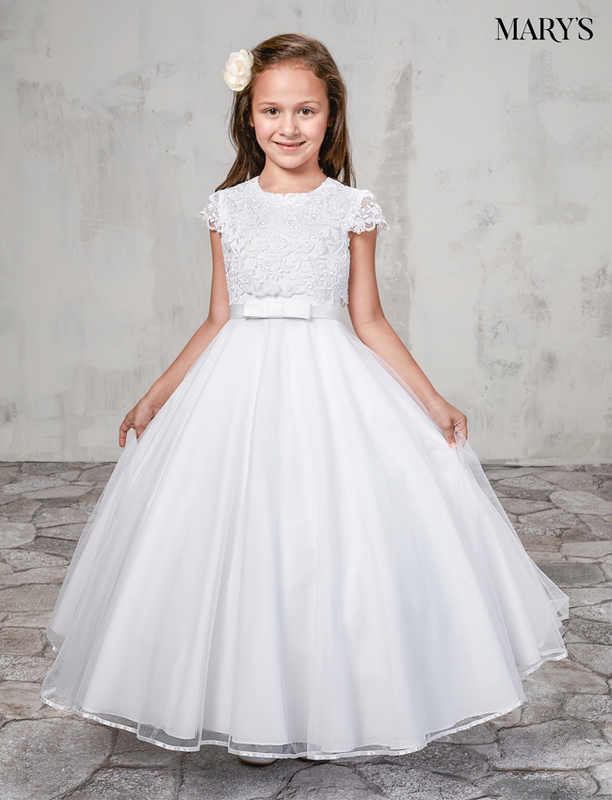 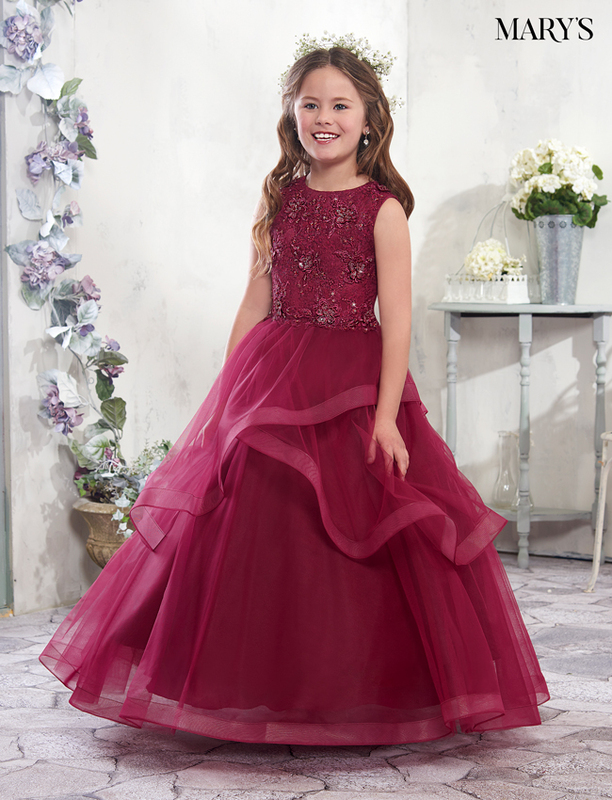 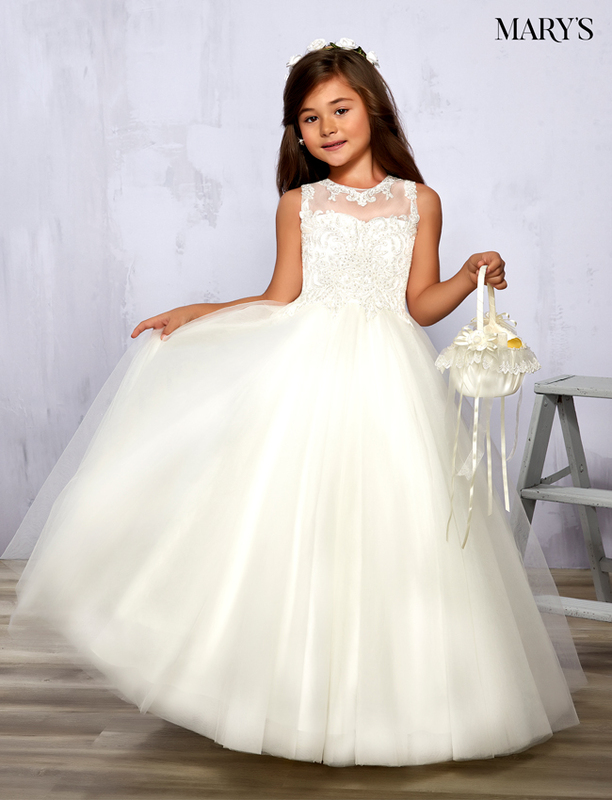 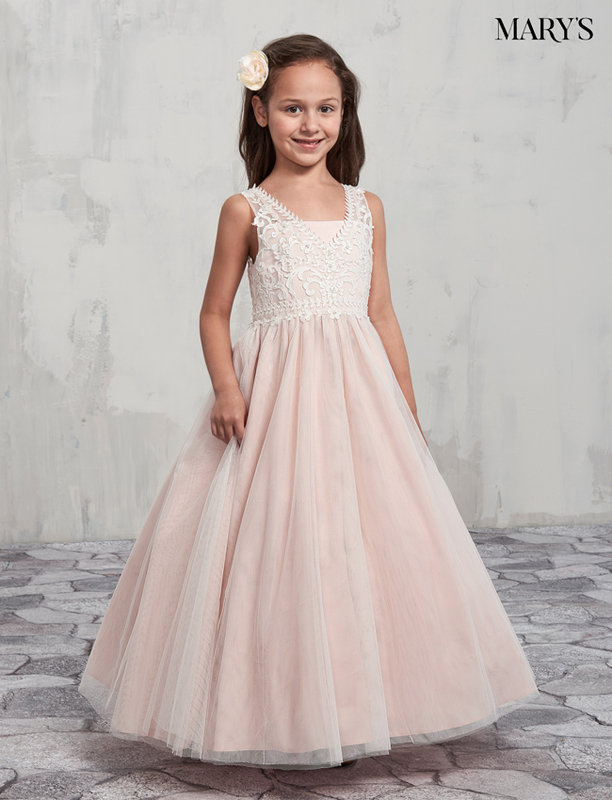 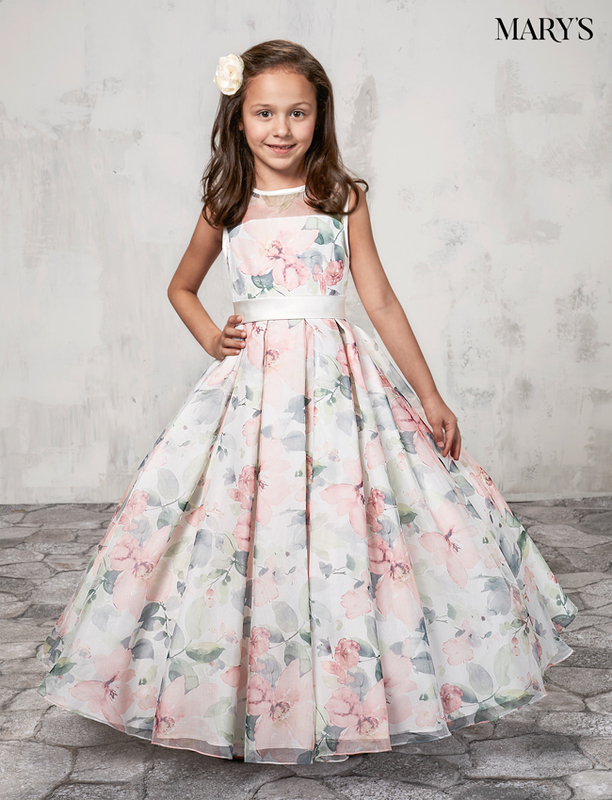 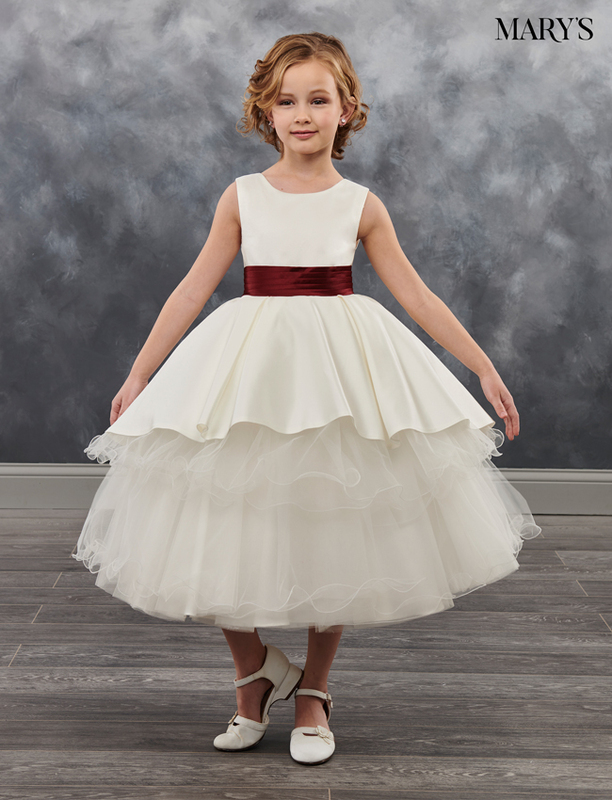 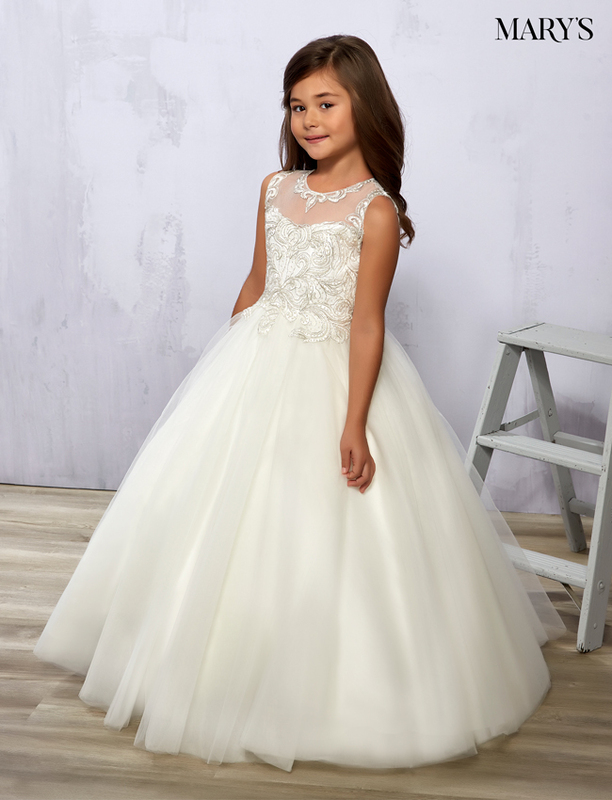 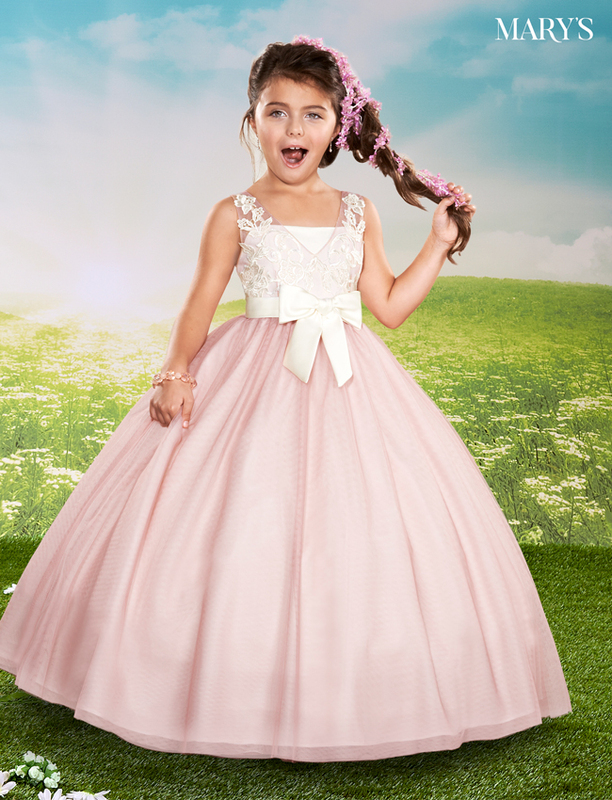 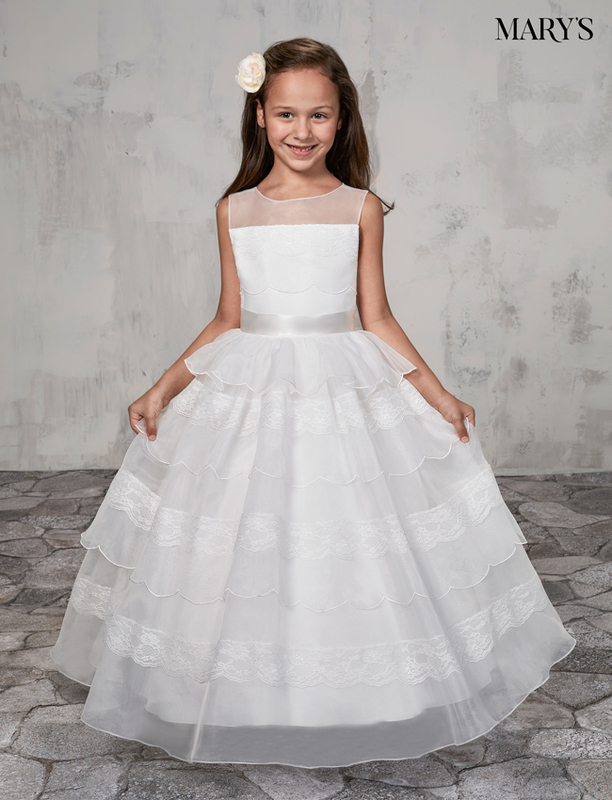 MARY’S ANGELS has once again produced a collection of beautiful Flower Girl Gowns that can make every little flower girl feel like a princess. 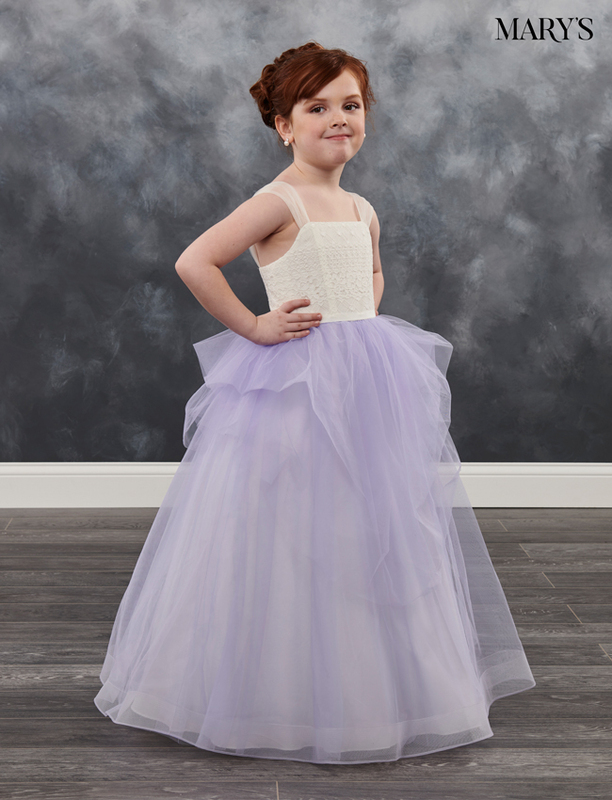 We carry the classic Ivory Flower Girl Dresses but we also offer such bold colors as aqua and neon pink! 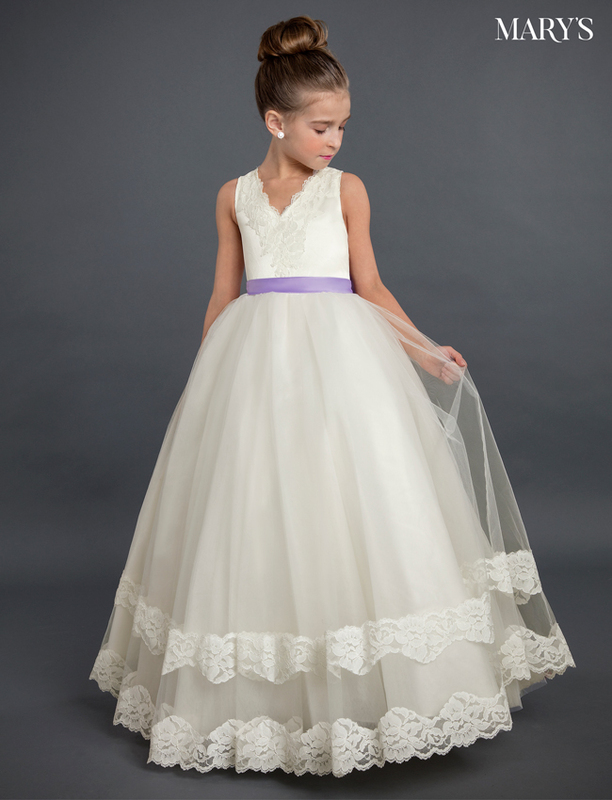 We cater to our clients with all the traditional silhouettes including A-lines, ball gowns, and tea length. 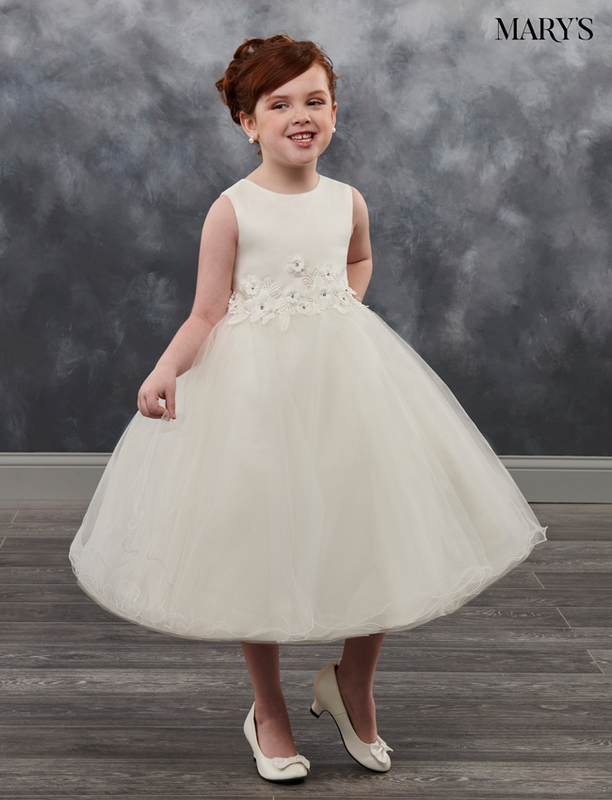 Our collection showcases exemplary beading accents, 3-D flowers, lace applique and embroidery that provides for an adorable ensemble. 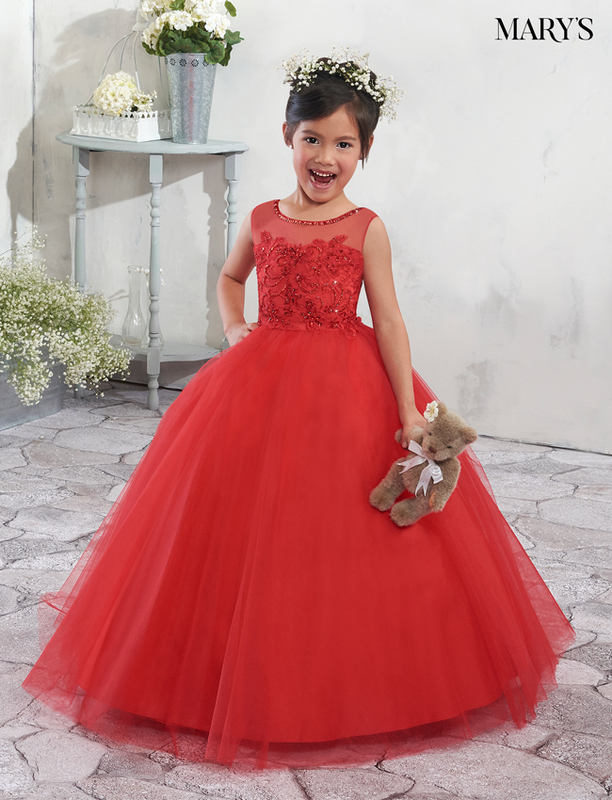 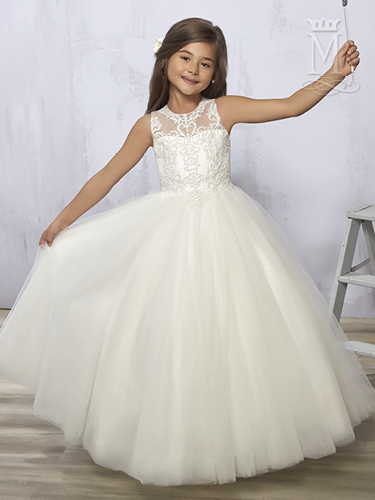 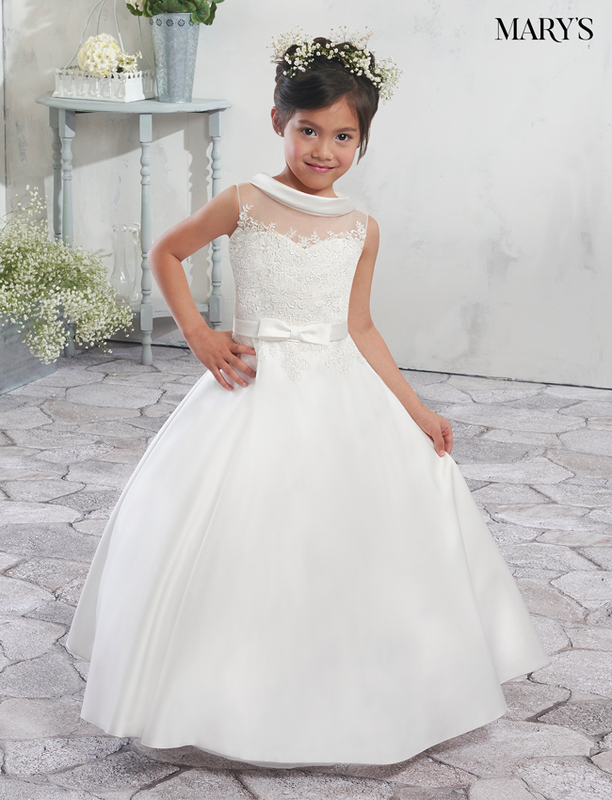 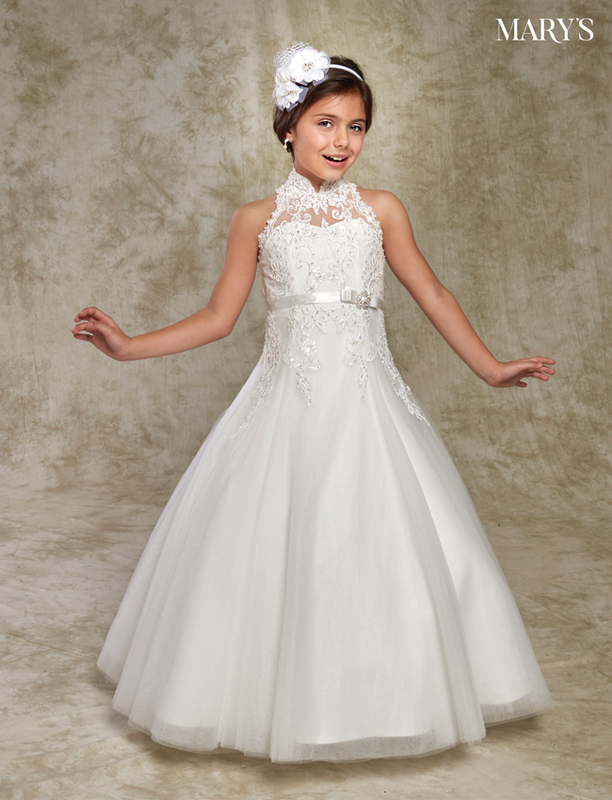 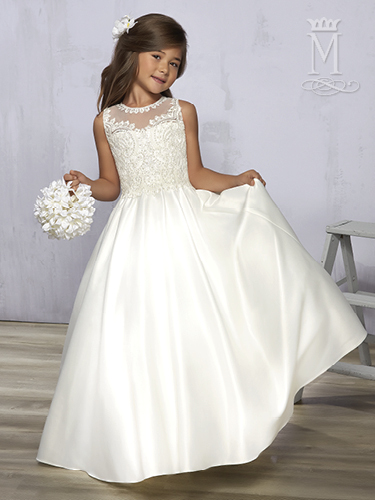 You will absolutely love our tulle and lace A-line Flower Girl Gowns and our high, scoop and sweetheart necklines.